It was reported that, first editions of Harry Potter and the Philosopher's Stone that contain a typo error may be worth more than $33,000. 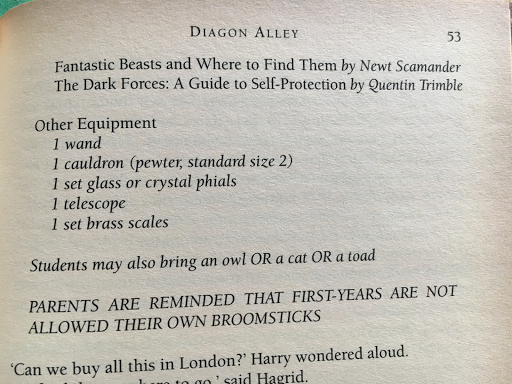 The error lies in the repetition of "1 wand" on page 53 in the list of other equipment Harry should have. I knew my copy would not be the one since I bought it in Bangkok and hardly would be a first edition, but I went and checked it anyway. Nope, I'm not $33,000 richer. But I did wonder, would I have sold it if it were? If I did, I would no longer have a complete set and how I got the complete set is an interesting story in itself.